Koala Buster Moon (Matthew McConaughey) runs a theatre that is haemorrhaging money. In order to pay his debts, Moon sets up a singing competition. After a misprint about the prize money, Moon sees animals of all kinds come forward to showcase their singing talents. The animated film industry seems to be going mad right now for worlds inhabited by animals. Last year saw 'Zootopia/Zootropolis' and 'The Secret Life of Pets' take their shot at building a film starring animals, not humans. The latter saw Illumination Studios make a lofty $875 million worldwide, proving to be a huge success at the box office. It is to no surprise then that the company have returned to an animal story, this time where no humans exist, much like 'Zootropolis'. This effort also sees Illumination using bigger talents in an effort to outdo previous efforts. In doing so, though, 'Sing' does look to fall back on cliches within the animation and musical genres. Whether that be from its characters - the likes of there being a German pig and Russian bears - or using pop songs instead of making genuine jokes. The latter will indeed please its target audience as the songs are well known with the characters performing them, are charming enough for it to be enjoyable. Like most films, if the cliche is done well, then it can work. And for 'Sing', it does, for the most part. Illumination are known for their films to be mainly child orientated - see 'Minions' as a clear example - and that is the case yet again. 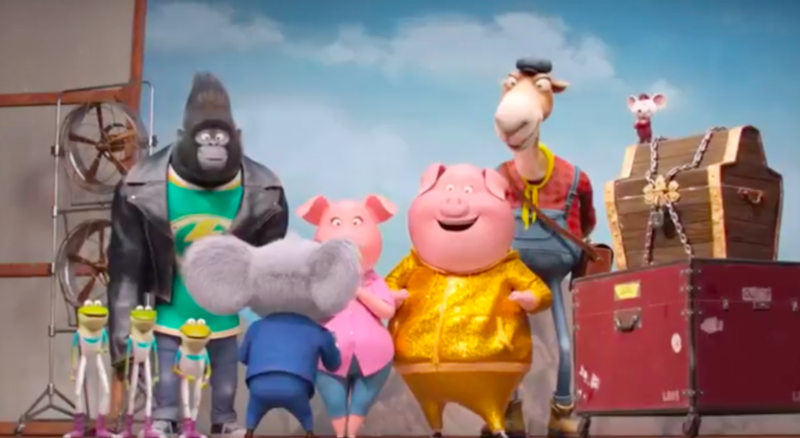 This transcends to the rest of the film, being apparent in the humour as it features childish slapstick comedy and jokes about the different animals. If you're looking for this to be similar to a Disney or Pixar film that delivers both to adults and kids, then you will be disappointed when you do not get that complete experience. The main story features a music talent show being introduced to make a lot of money, which very much reflects today's television. The aspect of a musical talent show ala 'The X Factor' or 'American Idol' is handled well, as it creates a replica of what these shows are like. You have your dreamers, the ones with a backstory, the arrogant ones, the trainwrecks and of course, the diamonds in the rough which leads into the main storyline. Here we get to see the lucky contenders look to wow the audience but also balance their day to day life whilst doing so. This provides interesting looks at different families, one where Johnny (Taron Egerton) is thought less of due to his choice to sing and Rosita (Reese Witherspoon), having to divide her time up between her responsibilities as a mother and also for chasing her dream to name a few. These storylines bring a sort of realism to the story as there is probably something relatable within one of the characters stories, even if it's simply not being confident enough. 'Sing's message from here is then very clear, that you should do what you like and not let anything stand in your way. It's not going to be easy but if you at least try and are driven and passionate enough about it, then you should have no regrets. Of course the music is a main part of the film but early on it is mainly dominated by pop tracks playing constantly after one another. The muic of Nicki Minaj, Taylor Swift and others may put many off but as it is aimed at kids, its clear to see why they done so. Thankfully, as this movie moves on, we see some more of the cast members start to stand out. Fans of Seth McFarlane will already know about his singing chops, showcasing them very well in 'Family Guy' and 'Ted'. McFarlane excels with his Sinatra-esque vocals which can be appreciated all across the board. Former American Idol contestant and Grammy Award nominee Tori Kelly also shines bringing beautiful vocals to great songs like 'Hallelujah' and 'Don't You Worry 'bout a Thing'. 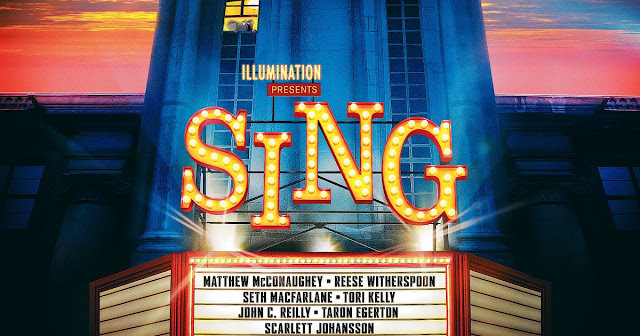 Scarlett Johansson, Taron Egerton and the other cast members bring their own renditions to other well known songs, showcasing more of their talents than we were aware of. 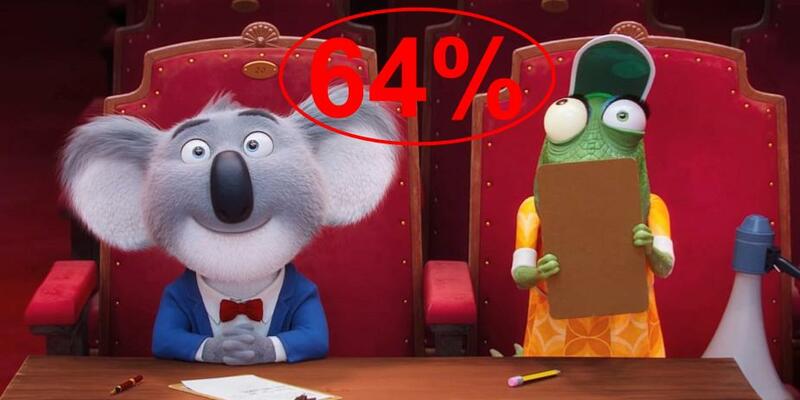 Matthew McConaughey shines as Buster Moon, the Koala mastermind behind the theatres talent show. McConaughey isn't recognisable in his voice unlike some of the other cast members and does a great job holding this film up. 'Sing' is a perfectly harmless family movie that does bring some good moments through its musical numbers. The humour is targeted towards a younger demographic but the message within the story is clear and understandable for all. A step back in the right direction of quality for Illumination after 'Minions' and 'The Secret Life of Pets' for sure. So have you seen 'Sing'? If so, what did you think of the film? I hope that this review was useful for if you were planning on seeing this film. Once again, thank you for taking the time to read my review, it is much appreciated!